ASOS have been killing it with their continuous beauty brand additions, and one of their recent additions includes HAX. ASOS are wanting to empower 20-somethings and beyond to confidently be themselves, however they choose to do so. HAX x ASOS believe that your face and body are a canvas, an adventure in individual self-expression and an opportunity to experiment and play. 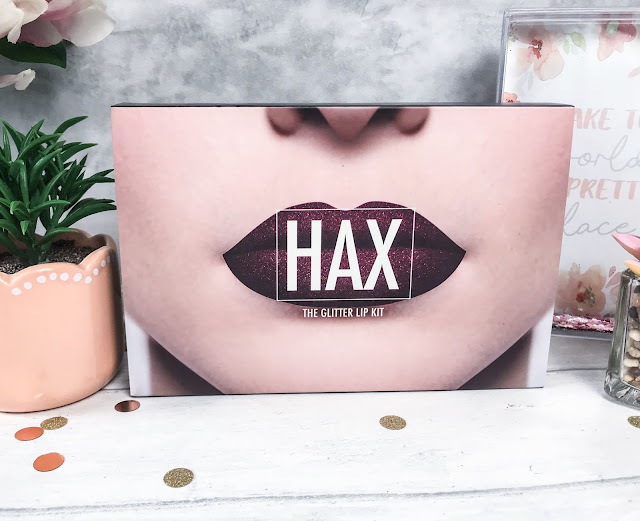 HAX is the revolutionary brand offering virtual beauty solutions, focusing on the latest looks, creating handy kits that contain everything you need to create must-have Insta trends. 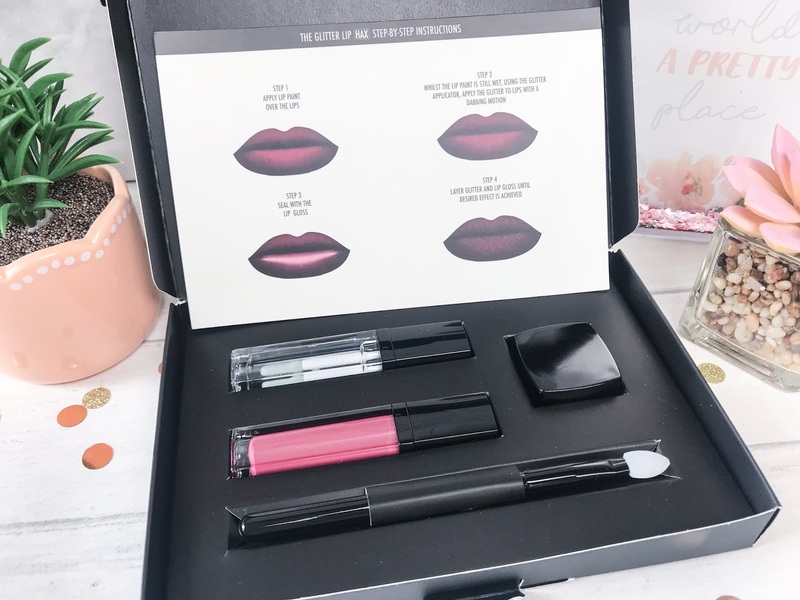 The HAX Glitter Lip Kit costs £19.99, and comes complete in a neat box, containing illustrated instructions, a lip gloss, lip paint, glitter and a silicone applicator. Packaging-wise for both the box and products I did find a little basic, and would have expected slightly more for the price, however if you are a newbie to makeup, or simply want to learn the latest trends, then these kits are definitely the way to go! I love how because you receive everything you could need, that the gloss, paint, glitter and applicator can all be used separately as well as together. 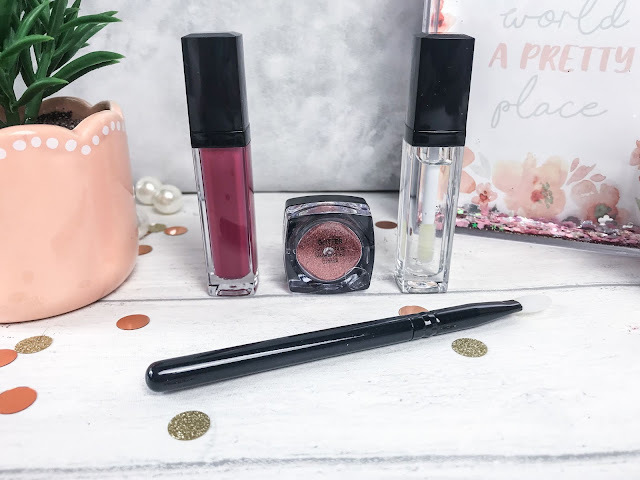 The colour of the lip paint is a pretty raspberry pink, and the rose gold glitter goes so well with it, however my star product has to be the applicator. 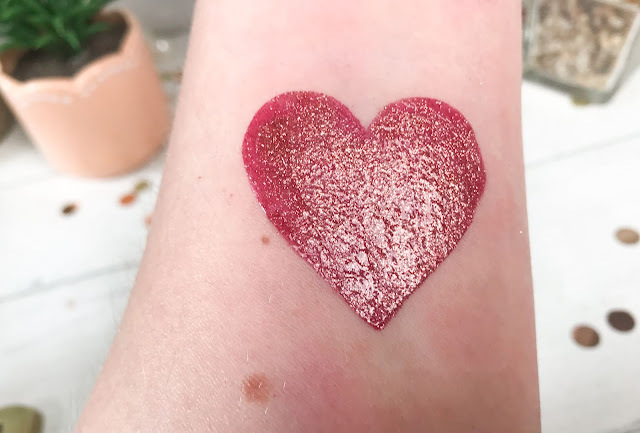 If you are a glitter lover like myself, you will know how hard it is to apply without getting it everywhere, but the silicone applicator allows you to place the glitter on perfectly, with no fall out and an excellent finish. I found the final result so easy to create! The HAX x ASOS Glitter Lip Kit can be found online at ASOS.